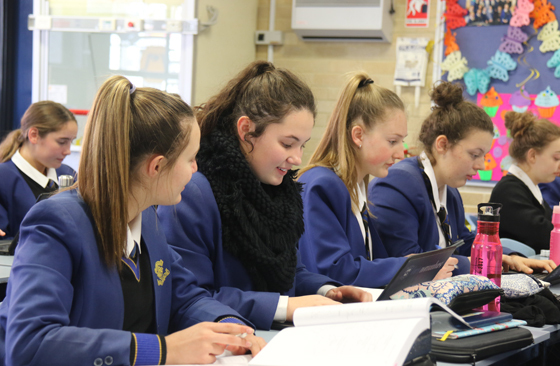 Term 3 is an exciting time for our Year 11 students as they have embarked upon the last term of their Preliminary HSC Courses. The next few weeks are an opportunity for our students to review and revise the learning they have undertaken this year. A part of this review should be a careful consideration of what they have found most challenging and difficult. It is these areas they need to spend the most time with as they prepare for their Preliminary Examinations in Week 7. Year 11 is a key time to develop skills that will prove invaluable in preparing for HSC studies. These skills include harnessing strategies that will enable students to fill gaps in their learning and improve in identified areas of challenge. We are encouraging our students to step outside their learning comfort zone and take time to talk to each other and their teachers about what they find most difficult with a view to becoming effective and courageous learners as they step up to the final stage of their school education. Another key factor for success is developing strong organisation skills which may involve making decisions about how much time will be dedicated to study and how they will manage their commitments in a range of areas. This does not mean discarding activities such as sport, volunteer work or paid employment, but rather taking time to carefully plan their time in order to make effective use of the time available. These time management skills are vital not only for their senior studies but are a key skill after they leave the structured school environment. We advise you to take time in the following weeks to discuss these issues with your daughters as these discussions will provide solid foundations for the exciting and challenging year ahead.